Nagpur city is one of the most important Maharashtran centres. It is the 3rd largest city in the state and also called the ‘Orange City’. Did you know that Nagpur actually has amongst the highest literacy rates as well in India? It attracts tourists due to historical monuments and stunning scenic lanes. Zero mile, Ram Dham, Adasa Ganpati temple, Sitabuldi fort and tons of other India-famous places to explore. What’s more? Nagpur’s spiritual side is one that cannot be ignored. A lesser known fact is that the city and the surrounding areas house some of India’s greatest places of worship. Explore these 9 most iconic nagpur temple to learn just what we’re talking about. The Orange City, Nagpur has Many temples. Here’s a List of 9 of them. 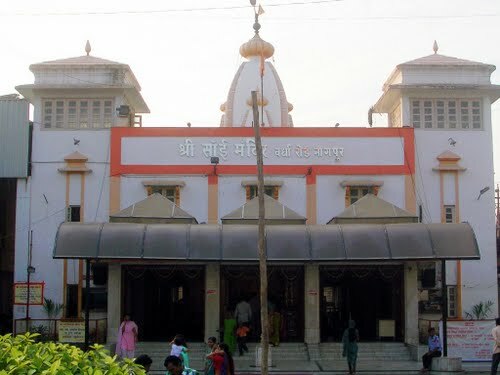 Shri Ganesh Mandir Tekdi is one of the oldest temples in the city of Nagpur and is one of the most famous too. It is dedicated to Lord Ganesha. The temple is situated at the top of a hill and thus the name of Tekdi Ganesh as tekdi in Marathi means hill. It is an extremely serene place, ideal for those who like to worship in solitude away from the noise of the city. The temple is believed to be constructed over 250 years ago. The idol of Lord Ganesha’s head is decorated with gold and has other silver ornaments. 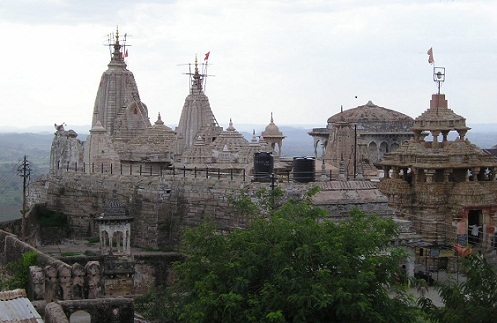 The devotees refer to the place as Jagruta Devasthan since pilgrims flock to the place from dawn till midnight. However, we would say visit this place late afternoon-ish to witness the beautiful setting of the sun and the lush greenery along with the cool air of the hilltop. Walk to the temple is also not very hard and quite a pleasant journey to soak in the wonders of nature around you. How To Reach: By flight, the nearest airport is the Dr Baba saheb Ambedkar International Airport. Nagpur is also well connected by rail to all major cities. Shirdi Sai Baba is needs no introduction. Not only in India but all across the globe is this saint and his powers revered. Although he is believed to be hailing from Shirdi (250 km East of India), temples in his name and devotion have been built all around the country. The Sai Baba temple located in Nagpur is a replica of the original Sai Baba temple located in Shirdi. The temple’s construction was completed in the year 1979. Around 2000 visitors visit the temple every day while on Thursdays, the number increases to around 2500. The idol of Sai Baba was brought to the temple by Shri Babulaji Warti and sculpted by Shri Talim of Mumbai. The special aspect of Sai Baba and his teachings include that of opposing religious rigidity and respect for all faiths and castes. How To Reach: By flight, the nearest airport is the Dr Baba saheb Ambedkar International Airport. Nagpur is also well connected by rail to all major cities. Autos and taxis can be hired from any part of the city to the temple. Best Time To Visit: Dashera and Thursdays. 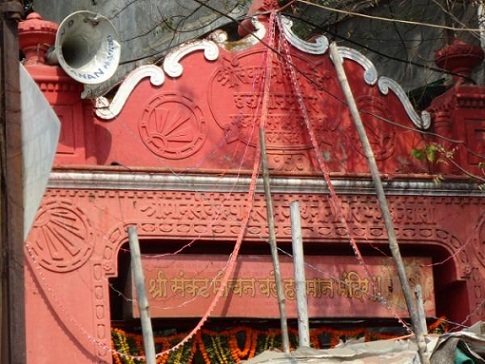 Telankhedi Hanuman temple located in the western region of Nagpur is situated on the southern slopes of seminary hills and is devoted to Lord Hanuman and Lord Ganesha who is also the presiding deity of the temple. It also shares the shore of the Telankadi Lake. Thus this temple too is extremely tranquil and pleasing to one’s mind and soul. There are also life-size marble idols dedicated to Devi Durga, Lord Shiva, Radhakrishna, Lord Rama, Santoshi Mata, Devi Gayatri and Lord Vishnu. The temple remains crowded with devotees on Tuesdays and Saturdays. It is said that Lord Rama was relaxing at this hilltop in Nagpur, and hence came into existence this temple. How To Reach: By flight, the nearest airport is the Dr Baba saheb Ambedkar International Airport. Nagpur is also well connected by rail to all major cities. Autos and taxis can be hired from any part of the city to the temple. The temple is around 5 km from the main city. Best Time To Visit: Tuesdays and Saturdays, Hanuman Jayanti and Ram Navami days. Other Attractions: Due to its Seminary Hill location, the temple offers amazing views of Telankhedi Garden. 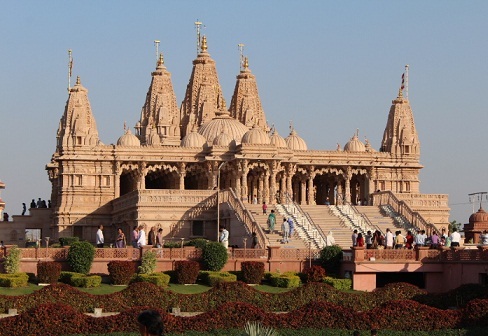 Swaminarayan temple located near Middle Ring road is the largest Swaminarayan temple among over 1,000 temples set up by Swaminarayan Sanstha across the world. It’s grand architecture and illuminating hues during the night forms the main attraction. The temple holds regular Satsang programmes and has idols of various deities such as Shri Shukhshaiya, Shri Ghanshyam Maharaj, Shri Akshar Puroshuttam, Shri Yogiji Maharaj and many more. The architecture is stunning so take some time out to just marvel at that. Beautiful carvings on the roof and if one goes just before sunset, the temple looks ever more glorious with the rays shining on it directly. Dress Code: Strict dress code – tops must cover shoulders, chest, navel, and upper arms. Leg wear must be at least below knee-length. How To Reach: By flight, the nearest airport is the Dr Baba saheb Ambedkar International Airport. Temple is 12 Km from the airport and 8 km from the railway station. Nagpur is also well connected by rail to all major cities. Public transport is easily available. Other Attractions: There is canteen inside with good quality food and a children’s playground. A gift shop is also present for buying souvenirs. 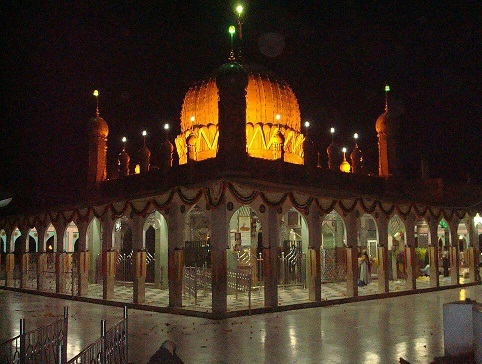 Hazarat Tajjuddin Dargah located in the heart of Nagpur is dedicated to Hazarat Tajjuddin Aulia Baba who was one of the five masters or Sadgurus of his age. He was a Sufi master born in 1268 A. H. in Madras. He had to spend sixteen years of life in a mental asylum in confinement as he was declared as a lunatic before turning the same place into a place of worship. The Dargah is considered to be holy and spiritual by the Islamic people and is open to people of all religions and sects. The Dargah includes a large mosque and shrine, with simple yet elegant architecture that shall leave you inspired and at peace. Known as the universal place of worship, people following distinct religions come here for their mannats. Dress Code: No dress code as such. Wear simple and decent attire. How To Reach: By flight, the nearest airport is the Dr Baba saheb Ambedkar International Airport. Temple is 9 Km/around 10 minutes from the airport. Nagpur is also well connected by rail to all major cities. Public transport is easily available and the temple is not very far from the city centre. 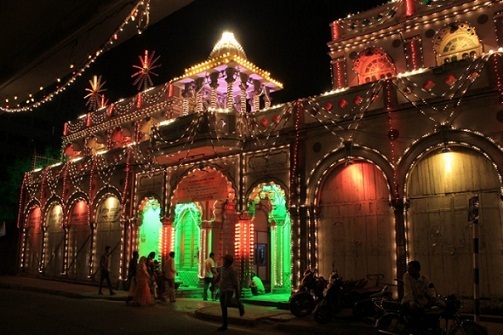 Best Time To Visit: Annual Urs Hazarat Baba Tajjuddin when thousands of devotees gather together. Other Attractions: Langarkhana arrangements are there. People from different faiths gather here for the fulfillment of their wishes. Hari-Hara Dharmasastha Temple is nearby. 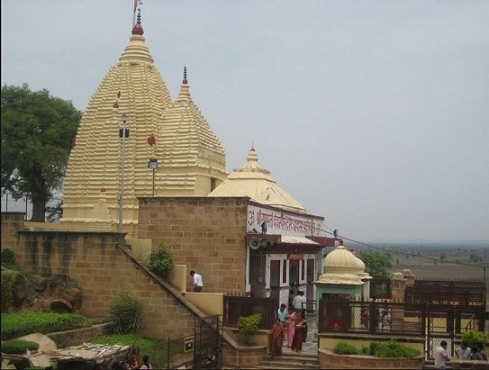 Ramtek temple or Ram temple located at Ramtek area of Nagpur is dedicated to Lord Rama. According to popular belief, Lord Rama rested in this place while he was in exile before he went ahead to win over Lanka. Tek in Marathi means vow and thus Ramtek signifies ‘Vow of Lord Rama’. The present temple is believed to be over 400 years old. It is away from the hustle bustle of city life and located inside a fort on a hill. Expect a tranquil atmosphere, the mystical surrounding of a fortress and a place of worship so very rich in Mythological value. 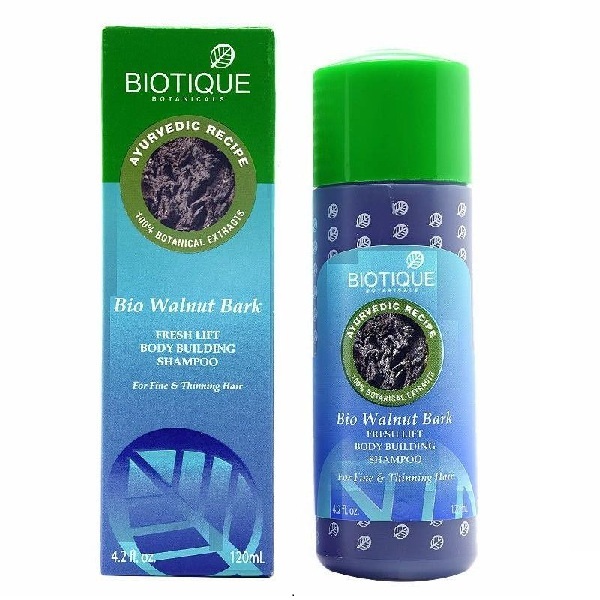 It is also very popular and revered for its OM structure that is a whopping 350 feet long. The temple is also famous for its notorious yet super smart monkeys roaming around the premises. Cars can go up to the last step post which you need to climb around 60 steps to the temple. How To Reach: By flight, the nearest airport is the Dr Baba saheb Ambedkar International Airport. Temple is it is 55 kilometres from the train and 50 kilometres from the bus from Nagpur. Nagpur is also well connected by rail to all major cities. Other Attractions: Poet Kalidas’ memorial is also in Ramtek. 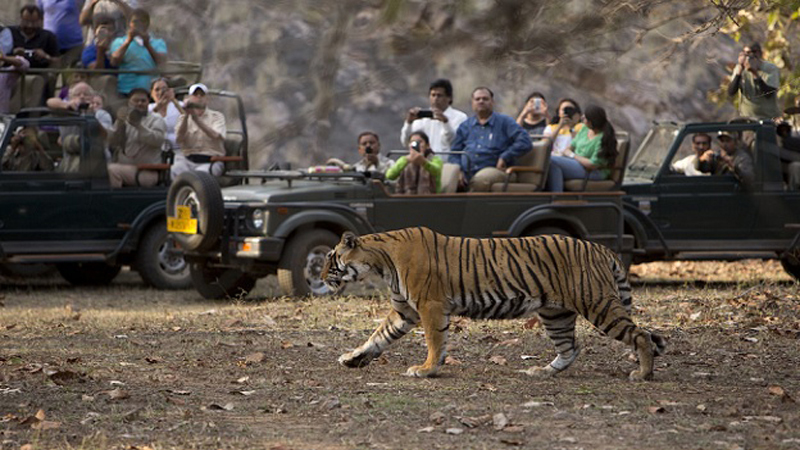 Pench Tiger reserve is nearby. Adasa Ganesha temple located 45 km away from the city of Nagpur is situated on a hillock. It’s an ancient temple to Lord Ganesha and is considered to be 4,000 years old. 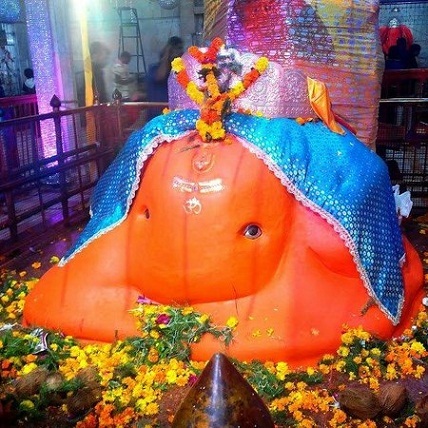 The temple is considered one of the eight Ashta-Vinayaks in Vidarbha. The presiding deity is an idol of Ganesha standing 12 feet tall and 7 feet wide and is made of a monolithic stone. This idol is also believed by some to have evolved on its own. During Pausha in winters, a major fair is organized in the village and many pilgrims flock to the place during that time. Dress Code: simple, temple apt attire would work. How To Reach: Its 40 Km from the city and a car can reach very close, say only around a 100 meters away post which there are about 40 steps to climb to the temple. By flight, the nearest airport is the Dr Babasaheb Ambedkar International Airport. Nagpur is also well connected by rail to all major cities. Best Time To Visit: Ganesh Chaturthi. Other Attractions: 20 other smaller temples within the premises and a temple of Lord Mahadeo beside the village. The shivlingams here are believed by the locals to have come out of the earth on their own. Dragon Palace temple located in Kampti area of Nagpur is also known as Lotus Temple of the city because of its exquisite architecture and scenic beauty. It is a Buddhist temple and forms one of the major attractions of the city. 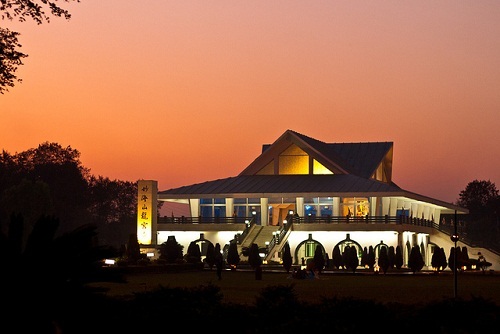 The temple was inaugurated in the year 1999 and is the best place if you are seeking for peace and serenity. It has a huge prayer hall and sandalwood idol of Lord Buddha. It’s also politically significant as the temple marks the Indo-Japan friendship at the time. It was inaugurated by Nichiki Kato from Tokyo and also received financial aid for its construction from Japan. Vibrantly coloured walls and a pure, tranquil atmosphere alongside a great architectural design has made this a favourite for tourists alike. How To Reach: Its very near (less than 1 Km) to the Kamptee bus station so you can take a bus to the temple. You can also drive to the temple. By flight, the nearest airport is the Dr Baba saheb Ambedkar International Airport. Nagpur is also well connected by rail to all major cities. Best Time To Visit: early mornings or late evening to escape the heat. Other Attractions: Mediation is a huge part of this Buddhist temple. A number of devotees meditate here together chanting the famous Buddhist chant that is sure to leave you rejuvenated and distressed. Sri Poddareshwar Rama Mandir located in the heart of the city is a major tourist attraction. It’s a Hindu temple dedicated to Lord Rama and Shiva and was constructed in the year 1923 by Late Shri Jamnadhar Poddar, famous businessman of the popular Poddar family hailing from Rajasthan. Its also known as the proud of Nagpur city. It is said that pilgrims visiting the place are guaranteed to gain peace of mind. The idols of the temple are in a Ram Parivar setup and posture including those of God Rama, Lakshman, Hanuman and goddess Sita. The temple itself is made in marble and sandstone and is exquisite, to say the least. How To Reach: Minutes away by walk from the railway station if taking the train to Nagpur. Otherwise, you can take public transport from any part of the city as the temple is in the heart of the city. By flight, the nearest airport is the Dr Baba saheb Ambedkar International Airport. Nagpur is also well connected by rail to all major cities. 1. Apart from the Dargahs, Buddhism Centres and The Temples, Does The Orange City also Boast of Iconic Churches? 2. Nagpur is Famous for Housing Asia’s Biggest Stupa, What is This Exactly? Deekshabhoomi Stupa is one of the most tourist visited and important monuments of the city. This sacred Stupa is known for its religious significance and as a place of worship to all those following Buddhism. However, irrespective it is also famous amongst the rest of the travellers visiting the orange city due to its breathtaking architecture. It is grand, to say the least, and reaches to a height of almost 120 meters. 3. Are There any Jain Temples in and Around Nagpur? Yes, Jainism is also very much prevalent in Nagpur city. In Nagpur, you can explore the Jain Mandir near NIT square and Parwarpura Shri Digambar Jain Mandir Nagpur (one can find local buys in the nearby market here). Shantinath Digambar Jain Temple near Nagpur in Ramtek area is considered to be extremely auspicious as well. It marks the root centre of pilgrimage for many Jains. Nagpur the Orange city thus is every religious wanderer calling. Not only that, but it is the place for anyone interested to get an insight into India’s rich legacy and the Hindu Mythology. So get set for a spiritual journey of a lifetime…start packing your bags and you already know where to go to make the best out of the city! Feel free to write to us if you have questions or feedback. We love hearing from our writers and are excited for you and your spiritual journey ahead. Happy travels and blessings always.